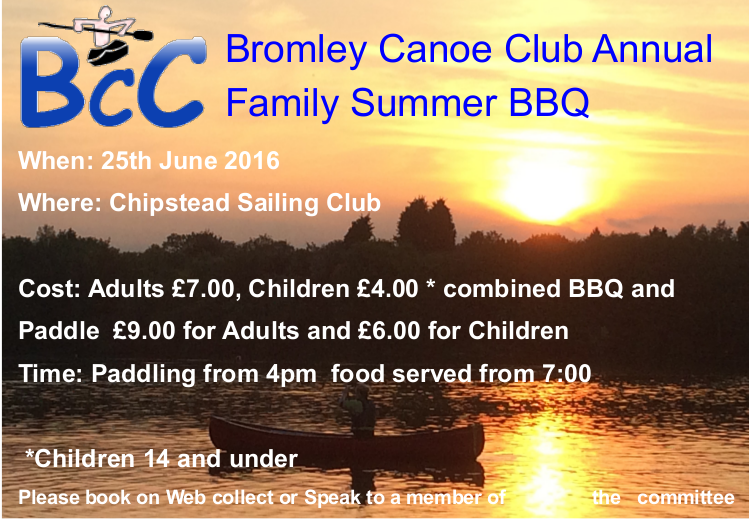 This years club BBQ will take place at Chipstead Sailing Club on Saturday 25th June 2016. Therefore the committee would like to invite all members and their families to join us for a paddle round the lake followed by the BBQ. Paddling will be available from 4.00pm with food being served from 7:00pm, if you do not want to paddle please feel free to join us any time from 4.00pm onwards. The committee have decided to keep the price of this years BBQ the same as last year.